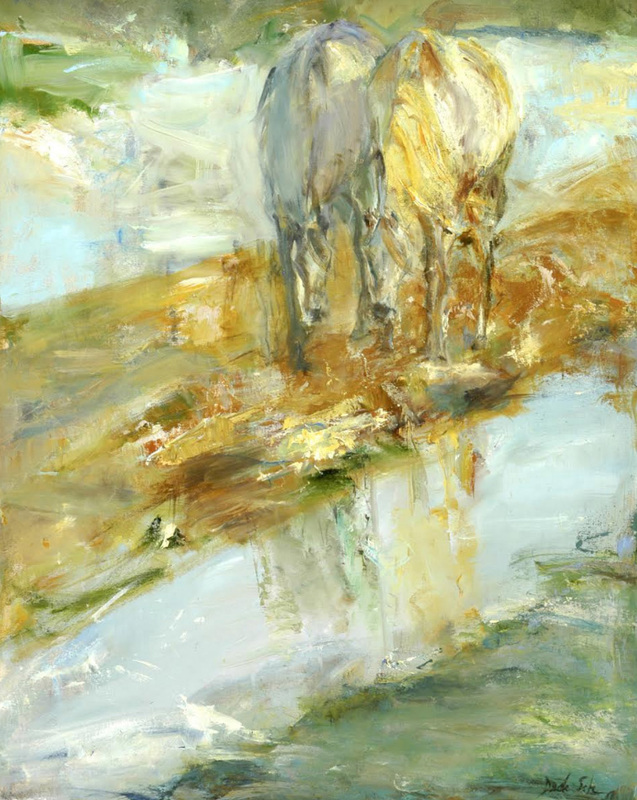 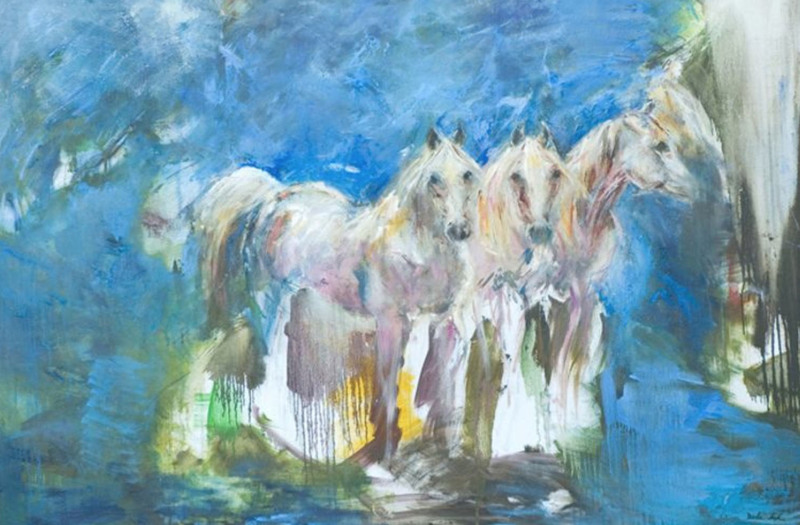 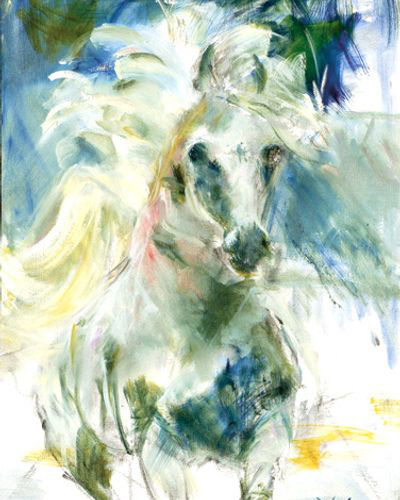 Artist Dede Schuhmacher delights the eye with her breezy portraits of horse culture. Loose brushstrokes with soft pastel colors bring these magnificent creatures to life as they explore their surroundings. 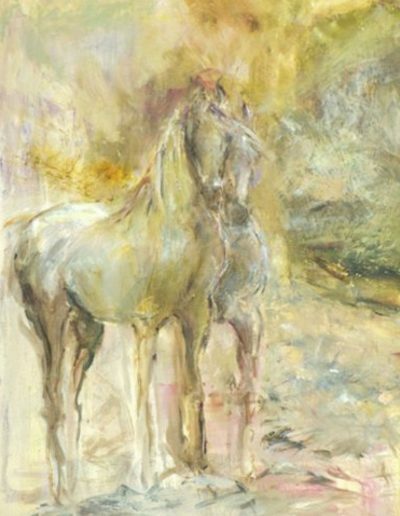 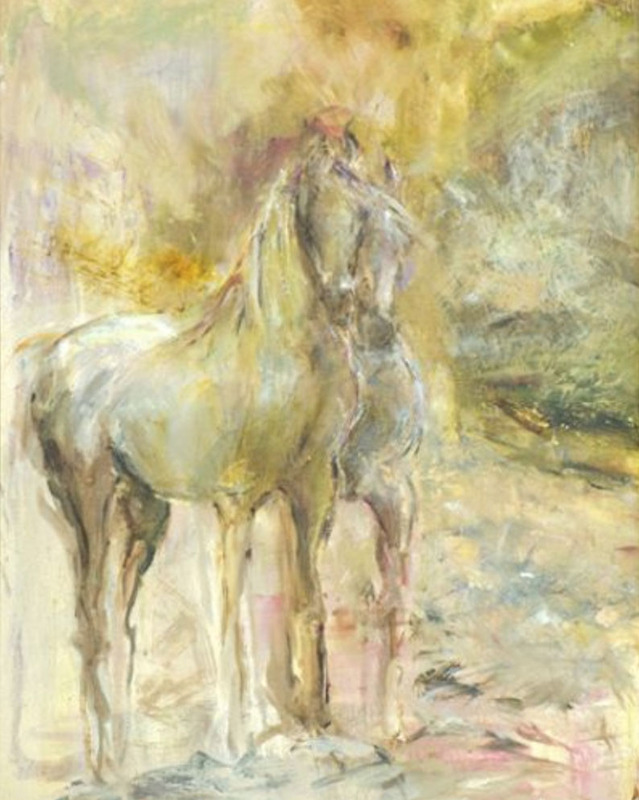 Made with oil on canvas, the work reveals more about the artist’s thoughts and feelings than the nature of horses. 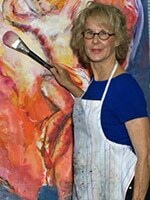 Every stroke seems imbued with joy and wonder as the artist observes her subjects’ every move. 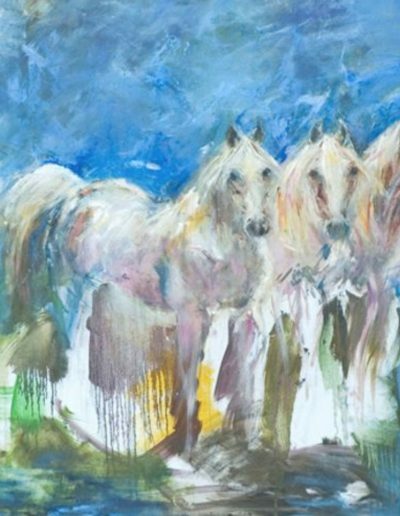 As a metaphor for power, raw natural beauty, and utility, her horses take on a life of their own as they dance to the call of the wild.